One series has ended and now it’s time to witness the closing of another, however this one has been much more influential in my life. For the last fifteen years my Thursday nights have been booked. Everyone that had ever crossed my path growing up knew that on Thursday night I would be unavailable. 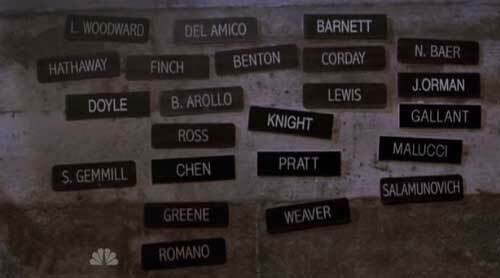 After tonight, for the first time since 1994, my television schedule on Thursday will be without ER. I cannot say that the last fifteen years have all been good. I have seen the series start out in its infant stages, grow into a show that had most weekly viewers than the most recent airing of the Oscars, say farewell to beloved cast members, then go into a dark spiral where the show almost became a parody of itself and now to slowly turn itself back around to have a justifiable end. 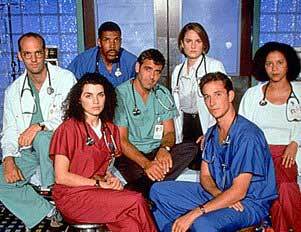 Sadly, because of my age when I started watching, I remember more of the bad than the good but I remember how it felt to be watching ER in its prime. Because of this I often find myself remembering how much I enjoyed characters like Greene, Carter, Gallant and Barnett and finding myself becoming detached from, and a little angered at, current characters like Neela, Gates, Brenner and Banfield. Looking over the top rated episodes on TV.com I am surprised to see how many are from the current season. Perhaps people have forgotten how good the early years were or just haven’t seen them recently enough to vote on them? ER did start before the Internet became accessible to the public so episodes from back then did not have the luxury of instant critiquing from fans. While writing this it occurred to me that my television addiction could all be traced back to ER when Mom and I would look forward to Thursday’s for the newest episode. My compulsion to see a new television episode when it airs and stop what I was doing for it was because of this series. It is a little sad to see the cause of my dependence on TV go into retirement. However, it has been a fun, sometimes a little long and demanding, trip but ER will be missed from my Thursday nights.